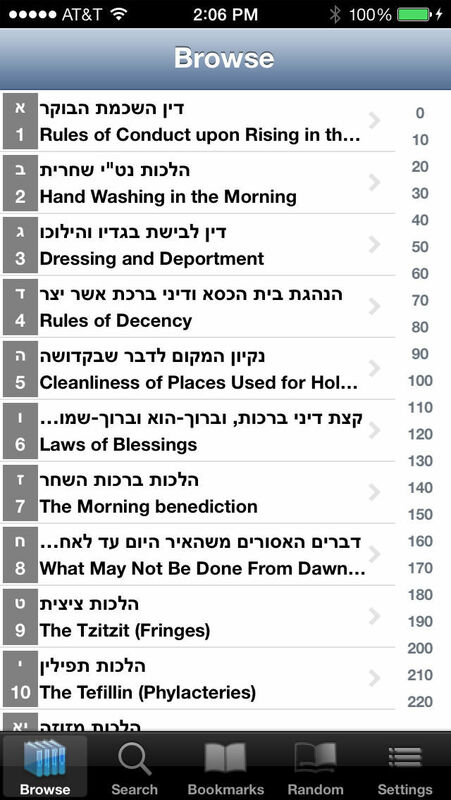 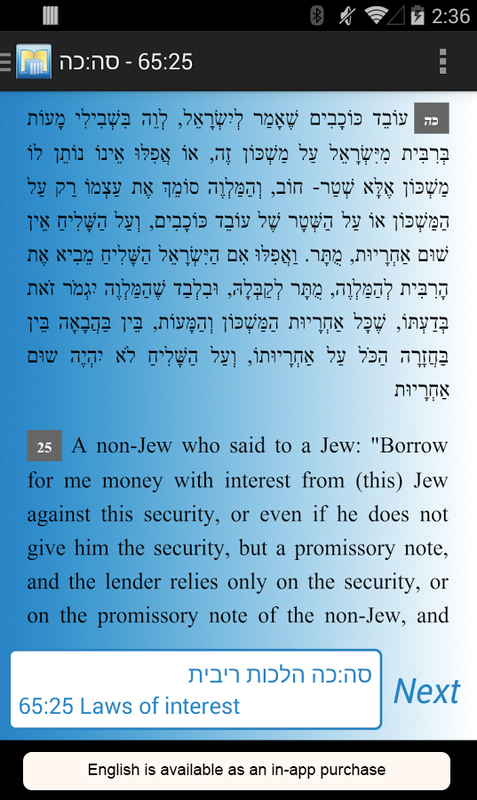 Gain access to the full Kitzur Shulchan Aruch in an easy to ready and browse iOS iPhone or Android application. 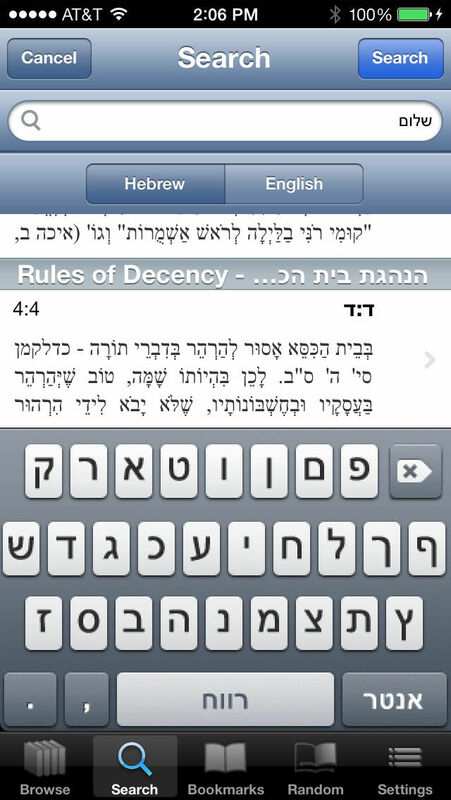 This iPhone app works natively on the iPhone, iPad and iPod Touch allowing you to browse the 221 simanim with the flip of a finger. 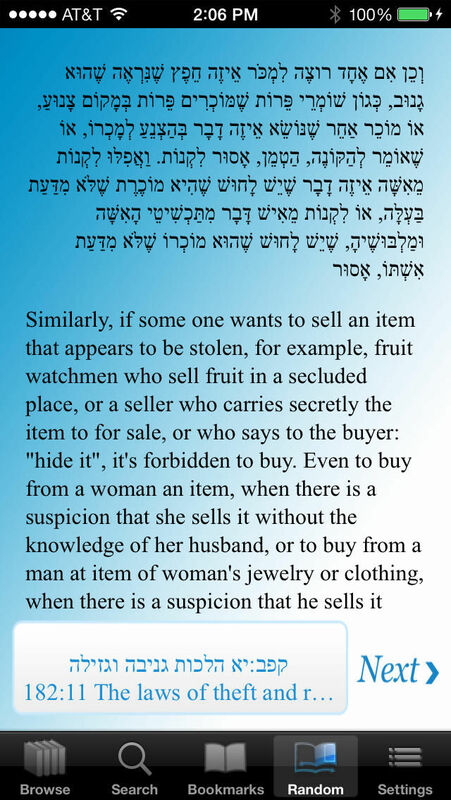 You can also perform quick keyword searches for specific jewish law. 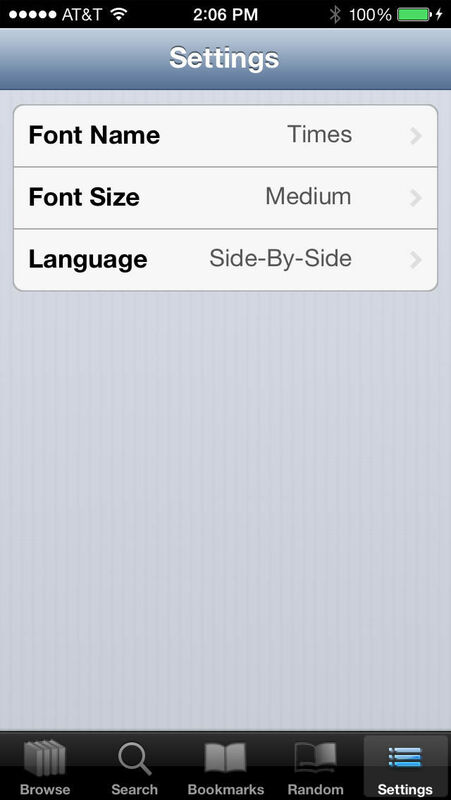 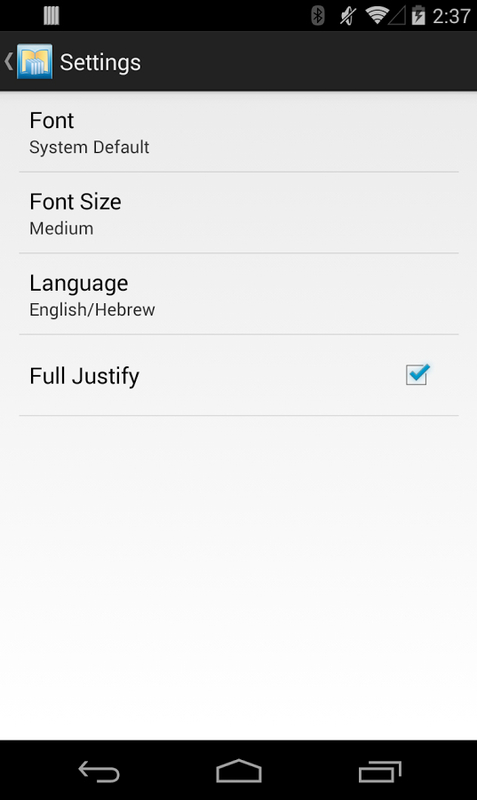 The bookmark feature allows you to saw laws for later. 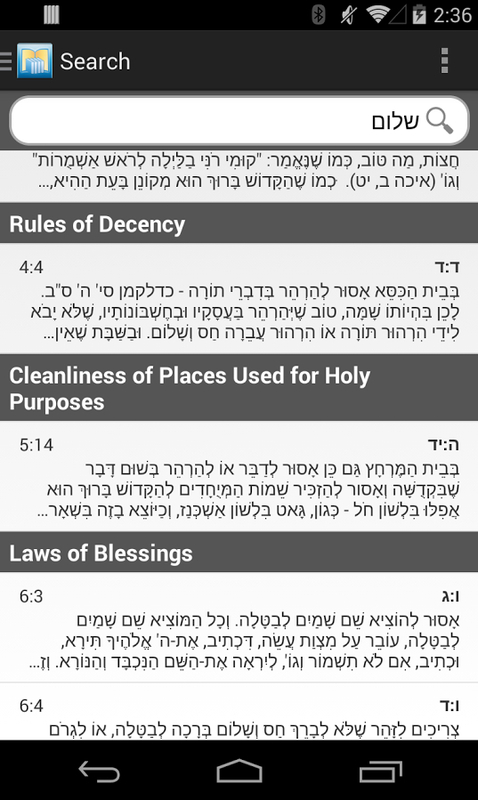 An integrated "Random" halacha tab shows you a random halacha, making it fun to learn new laws. 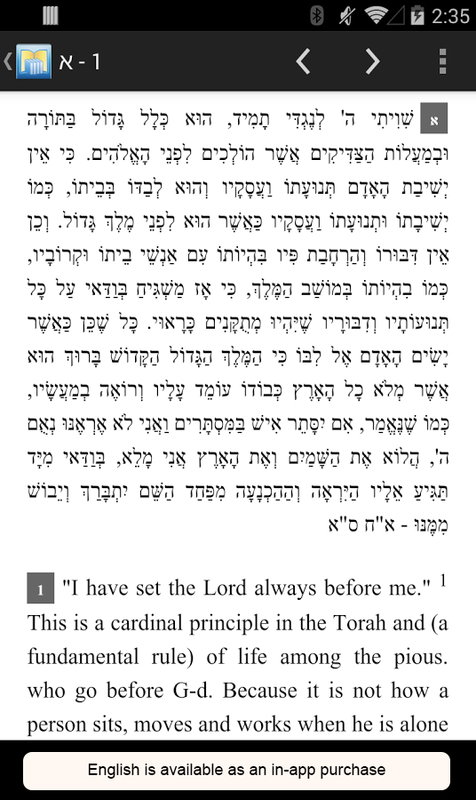 You can even email the complete halacha to your friend or Rabbi. 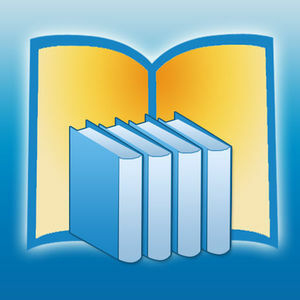 Hope you enjoy, and we will love to hear your feedback! 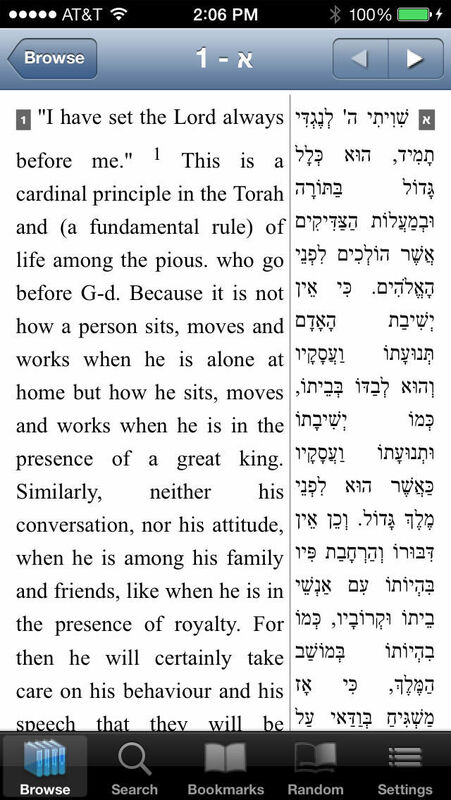 Note: These laws are primarily specific to Ashkenazi customs and not necessarily Sephardi customs.